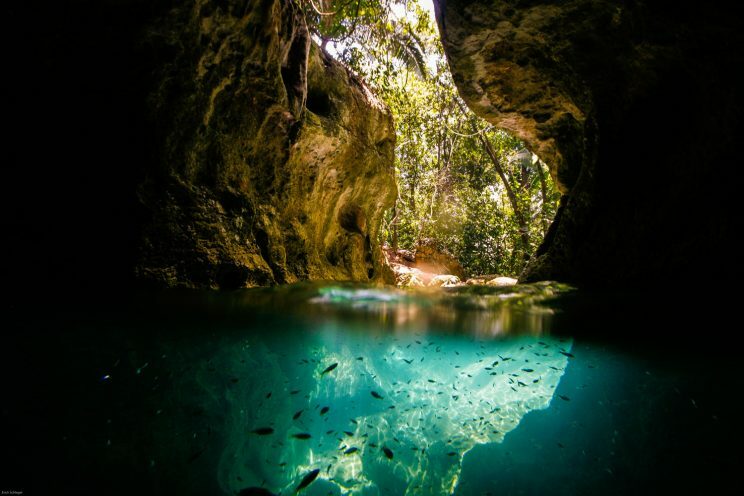 The Actun Tunichil Muknal Cave (or ATM for short) is one of the top destinations for extreme adventures and thrilling experiences that Belize has to offer. The cave is found in the beautiful Tapir Mountain Nature Reserve located in the foothills of the Maya Mountains in Western Belize. 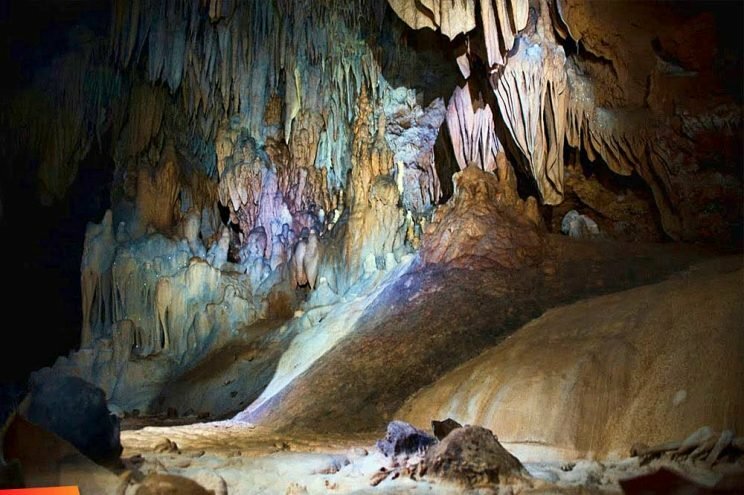 Limestone caves in Belize are especially interesting because apart from being dark, damp and eerie – our limestone cave formations were believed by the ancient Maya to be the physical entrance ways to the underworld. Xibalba as it was called, literally meant ‘place of fear’ and wasn’t an ethereal place where the spirit goes as many other religions believe. The Mayan inhabitants of Belize used to conduct various rituals to appease the god’s who resided in the ground beneath them in these very caves. 1 The name Actun Tunichil Muknal means, “Cave of the Stone Sepulcher”, which could almost be an Indiana Jones movie (think: temple of the crystal skull). 2 The cave was first discovered in 1989 and opened to the public in 1998. Dr. Jamie Awe was the first person to explore the cave, and along with his Western Belize Regional Cave Project. they conducted archaeological research there from 1993-2000. 3 The cave is a full 5 kilometers deep (roughly 3 miles), however, travelers are only allowed to venture through about 3.5 kilometers of it. For safety reasons of course. 4 Within the cave, over 1400 artifacts have been found and cataloged. Among these artifacts are ceramic pottery, water vessels, tools and weapons that have been dated to about AD 250-909 which makes the newest one still 1,108 years old. It is to this day one of the most impressive and artifact-rich caves ever found. 5 One artifact of particular note is the “Monkey Pot”. It is so called as it is decorated with a monkey near its rim. Only four such pots have been located across Central America with that distinctive decoration. 6 Evidence heavily suggests that the cave was a sacred place used by the Maya people to perform, among other things, ritual sacrifice. The Maya people believed that the gods who provided rain and agricultural fertility resided in the underworld and the cave was the place where they could reach that underworld and appease the gods during times of strife. 7 Remains have also been found of bodies being bound and tortured. “The Stelae Chamber”, one of the major sights in the ATM cave, contains two slate stelae in front of which individuals of high status performed rituals, where they would cut themselves with obsidian blades and offer their blood to the gods. 8 ATM is home to the famous “Crystal Maiden”, a young woman around the age of 18, though now disputed to be a young male. It is believed that she was brought into the cave as a sacrificing gift for the gods. Over time she has been fused to the cave floor, by the water running over the remains causing a crystalline coating of brown calcite to form over the bones. 9 In ATM, 14 complete skeleton remains have been found in the “Main Chamber”: 7 adults and 7 children, all under the age of 5. These are likely not ceremonial burials but sacrificial victims. The reason why the Mayas used young people, women, in particular, is because they were considered to be “Zuhui” meaning pure and untainted – pleasing in the eyes of the gods. 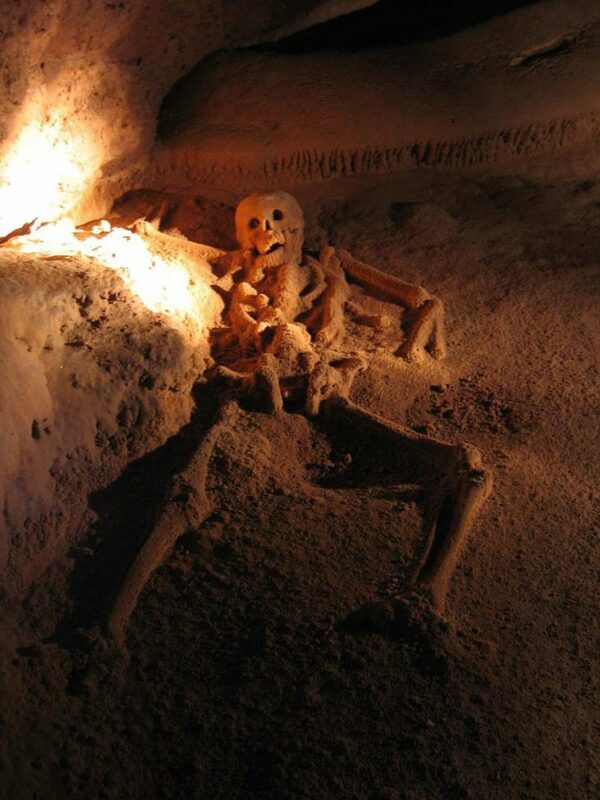 10 Since an accident in 2003, when a traveler dropped their camera onto one of the skeletons, it is no longer allowed to bring such equipment inside. As precaution as well, when entering the “Main Chambers”, only socks are allowed on your feet in order to maintain and preserve the delicate environment in the cave. The Actun Tunichil Muknal is protected and there are only a few licensed guides that by the Belize Department of Ecology have been authorized to do tours in the cave. Luckily The Lodge at Chaa Creek has professional, licensed and experienced guides that can take you. Have you been to the ATM cave? What was the most exhilarating part?! Let us know! Like our content? Subscribe for more blogs each week! The Breaking Bad Belize Belikin Beer Challenge Ends Today! You incorrectly list the crystal maiden as a women. It was a misconception. It is, in fact, now known to be a male. Interestingly enough – the report we’ve found cite the “Crystal maiden” to only be “thought” to be a boy.